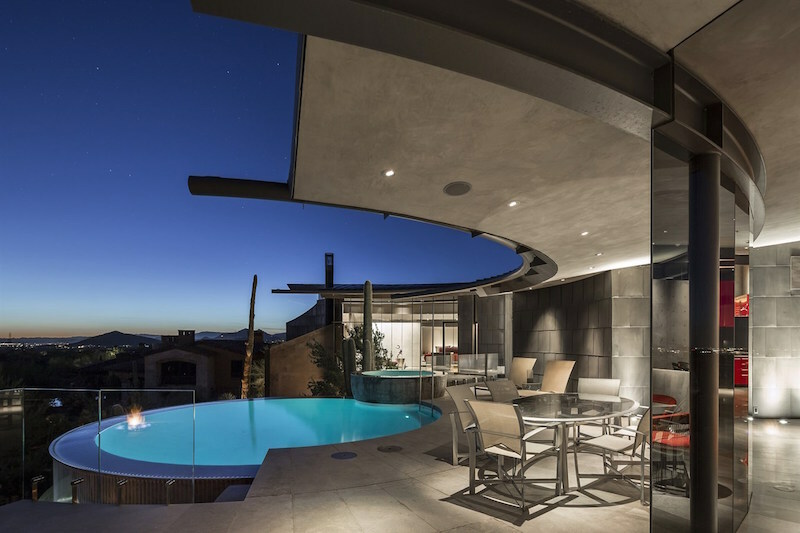 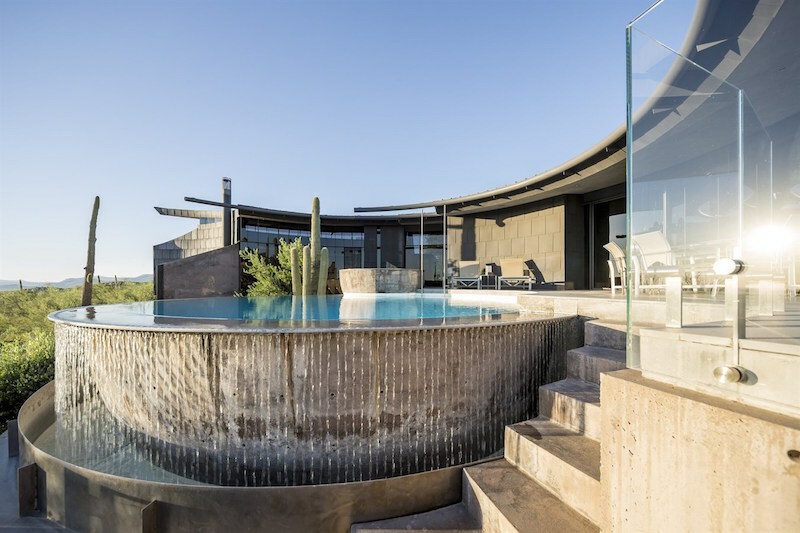 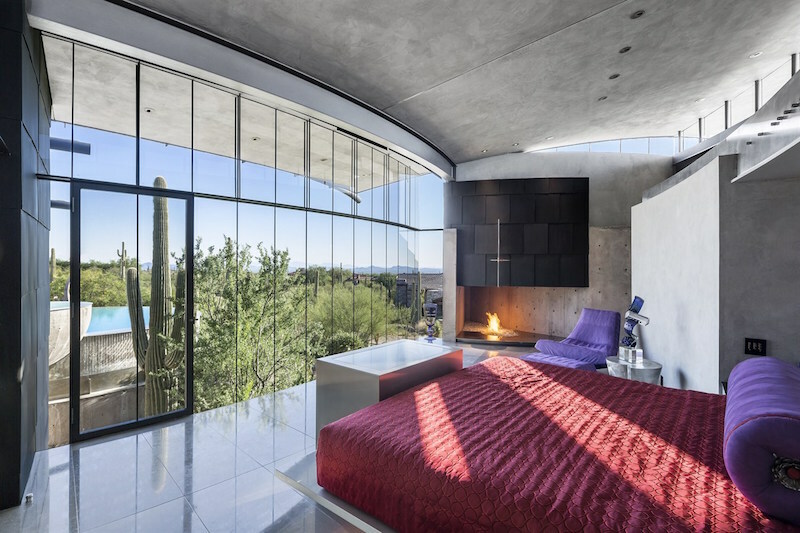 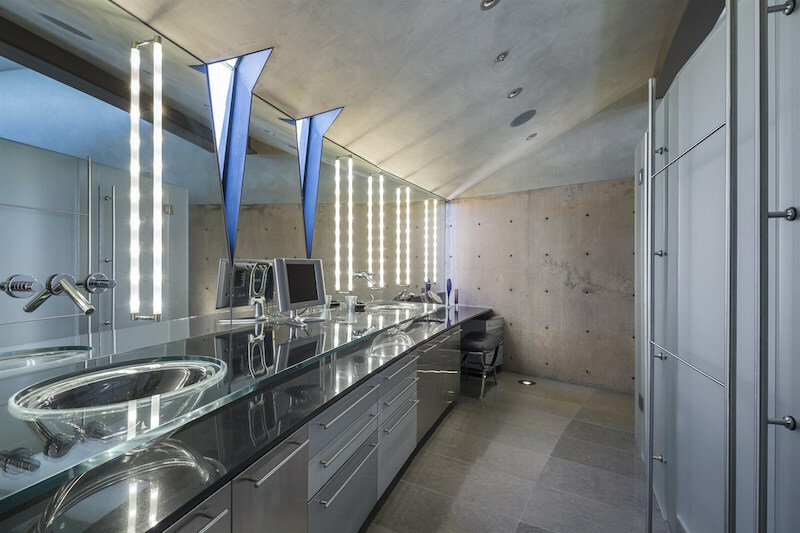 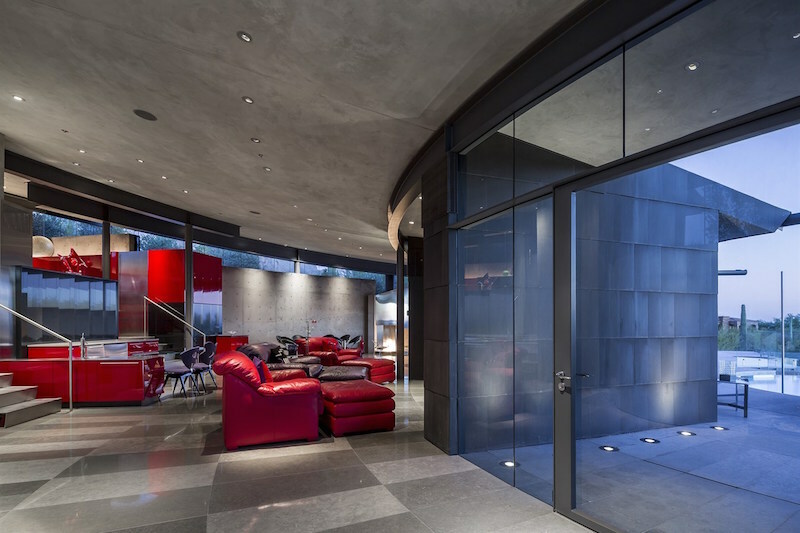 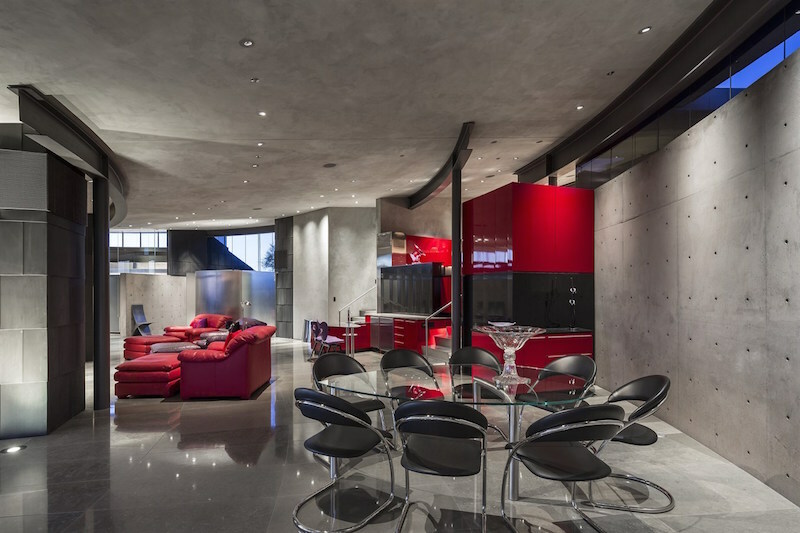 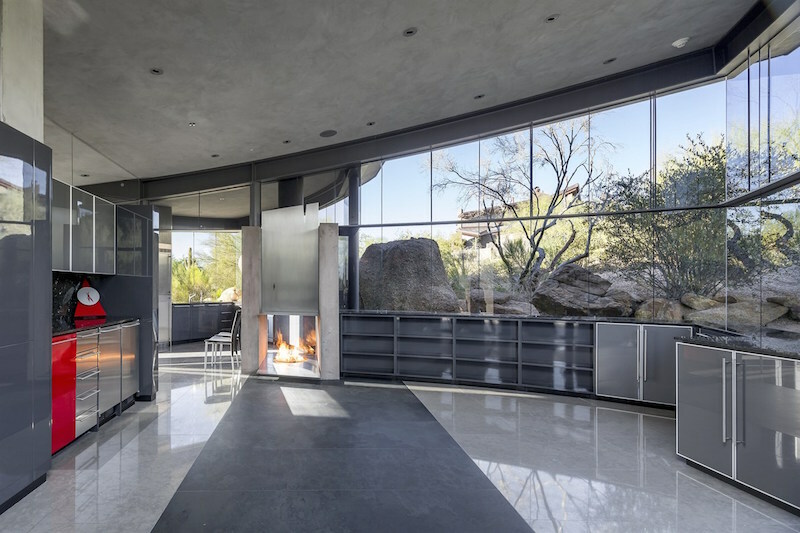 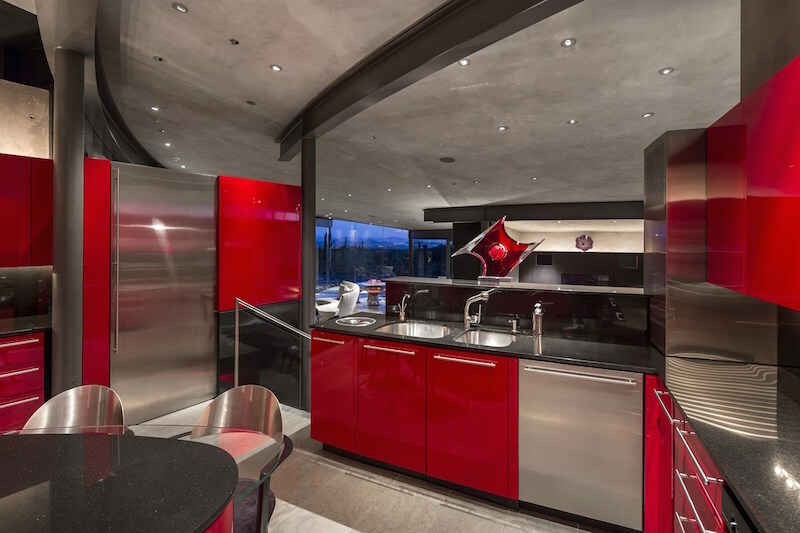 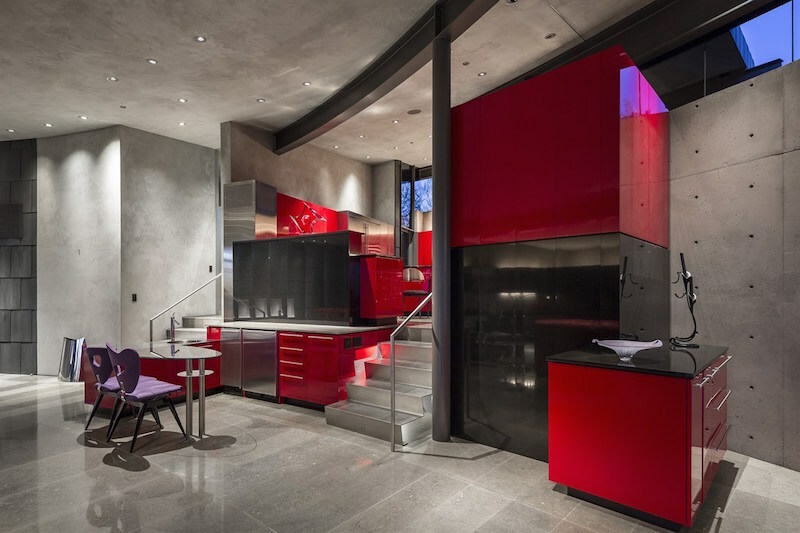 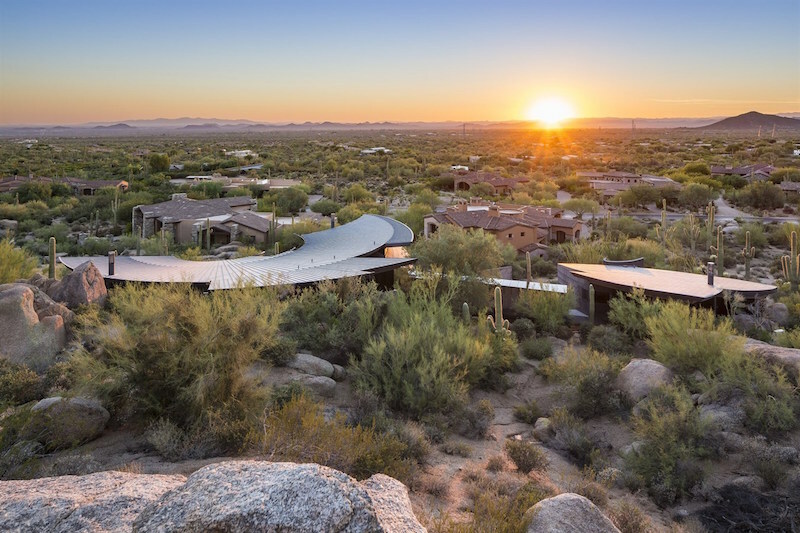 A spacious 4,700 square foot contemporary residence known as the ‘Scorpion House’ has hit the market in Scottsdale, Arizona for $5.5-million. 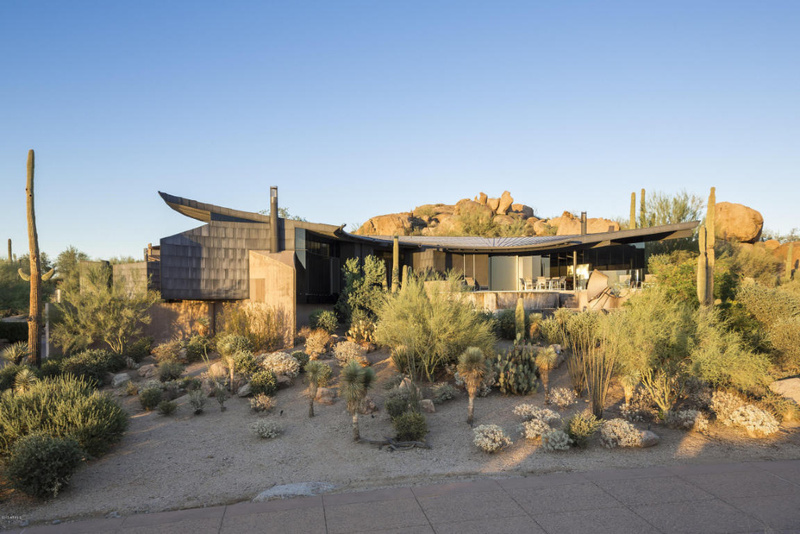 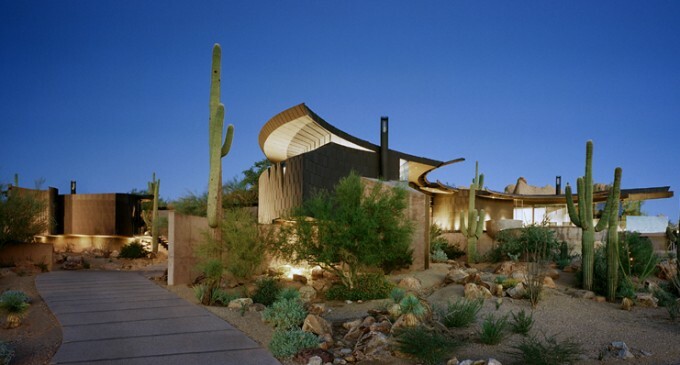 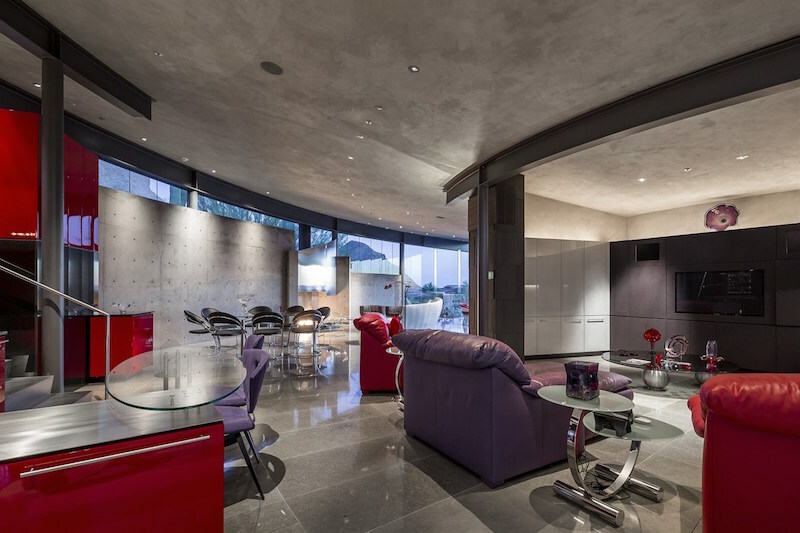 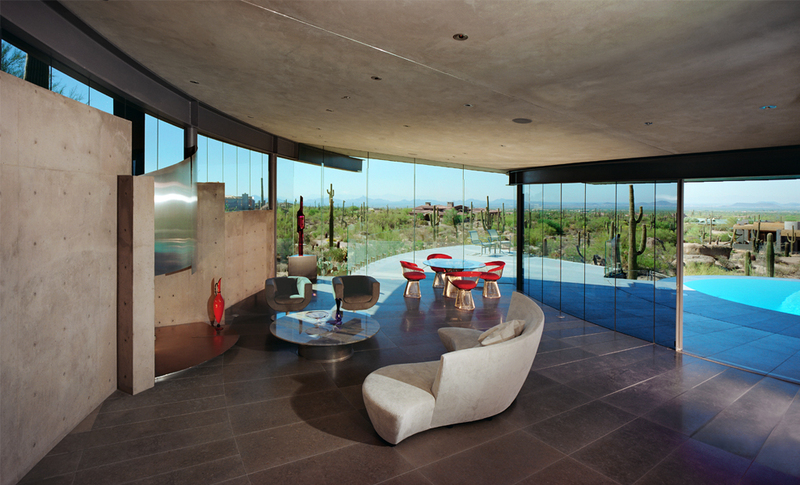 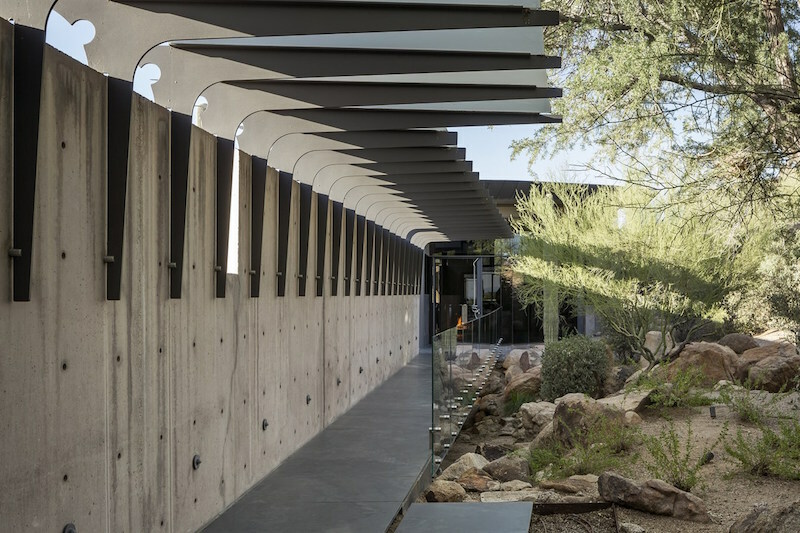 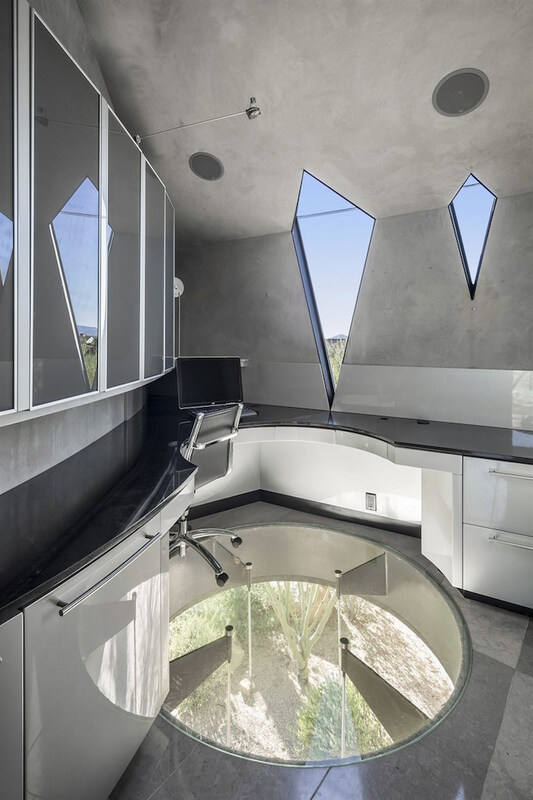 Designed by architect Eddie Jones and built in 2001, the ‘Scorpion House’ has been awarded 7 design awards including ‘ Gold, Architecture under 5,000 Square Feet’ by The Arizona Home Book Design Excellence Awards. 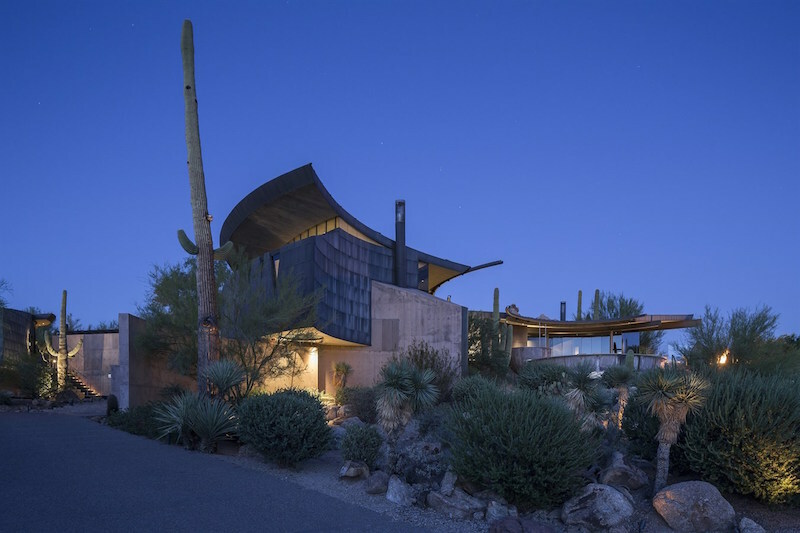 The property has also been featured in numerous publications including Architectural Digest, Desert Living Magazine, and Arizona Home Book. 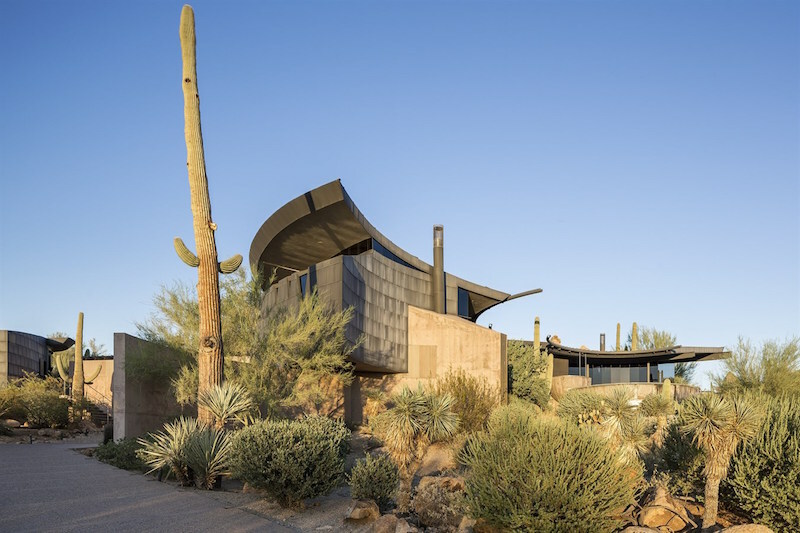 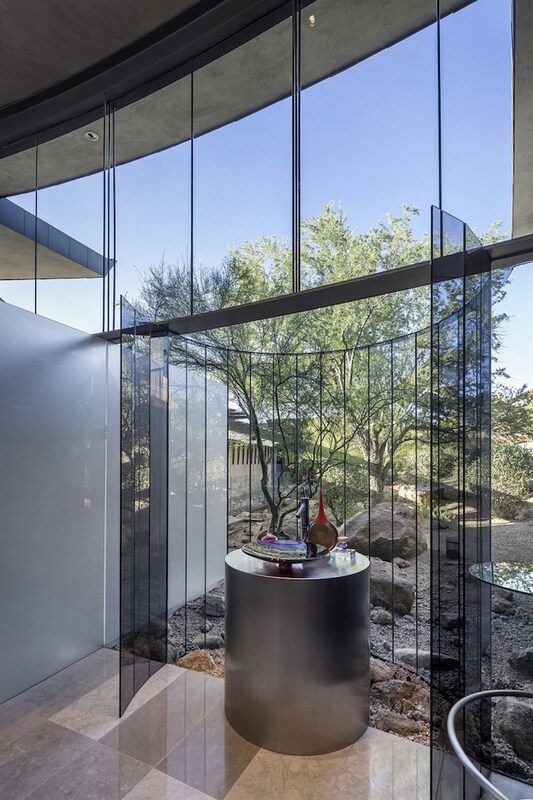 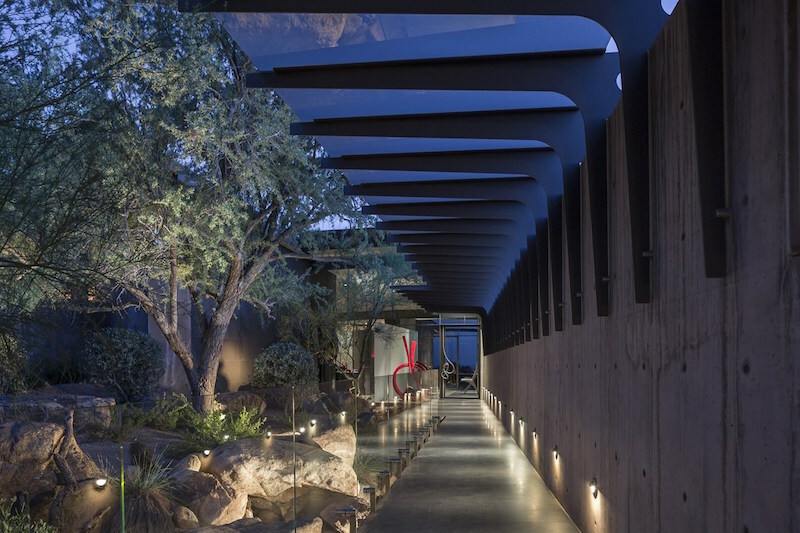 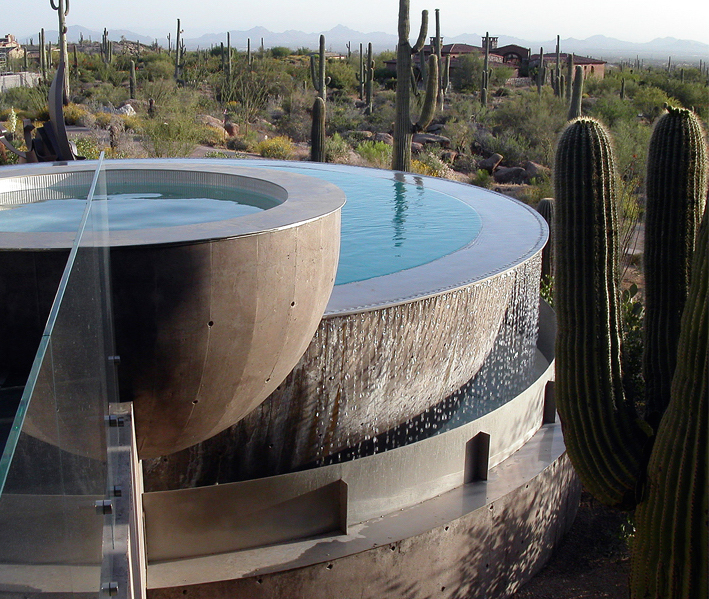 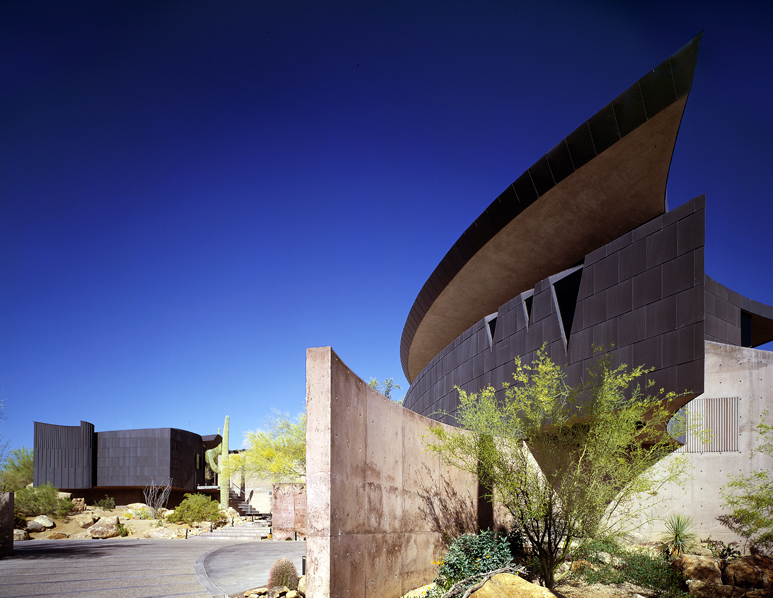 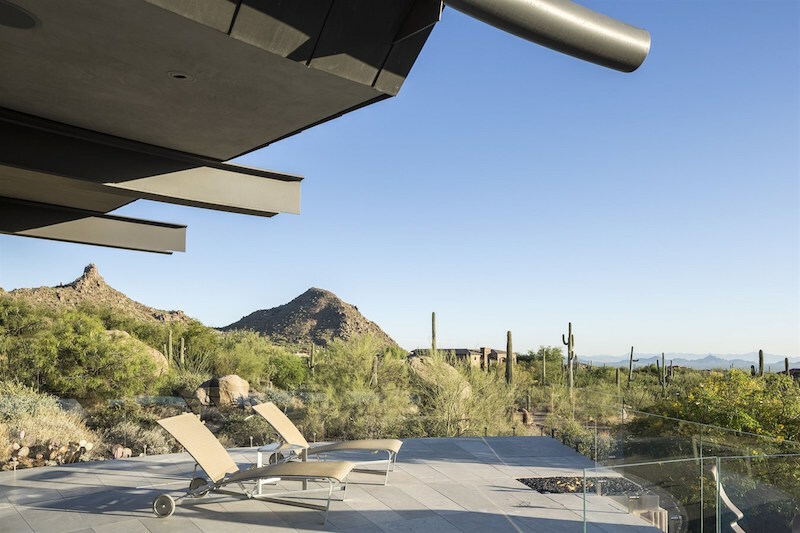 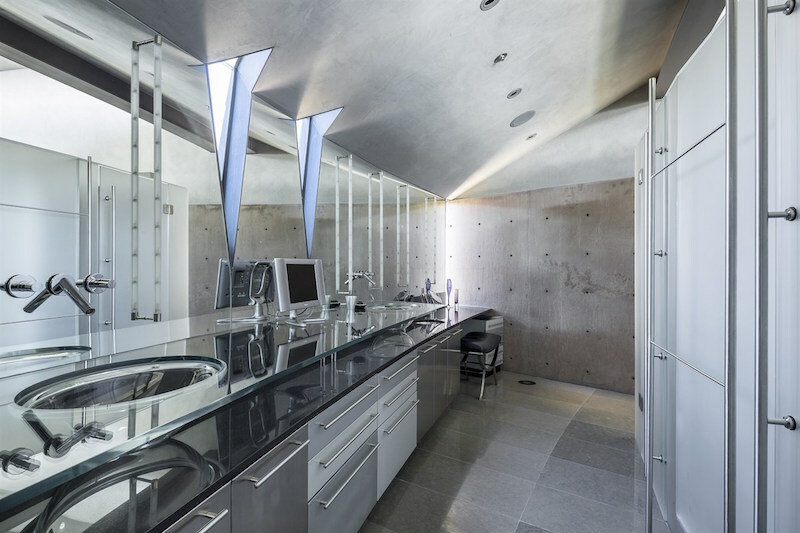 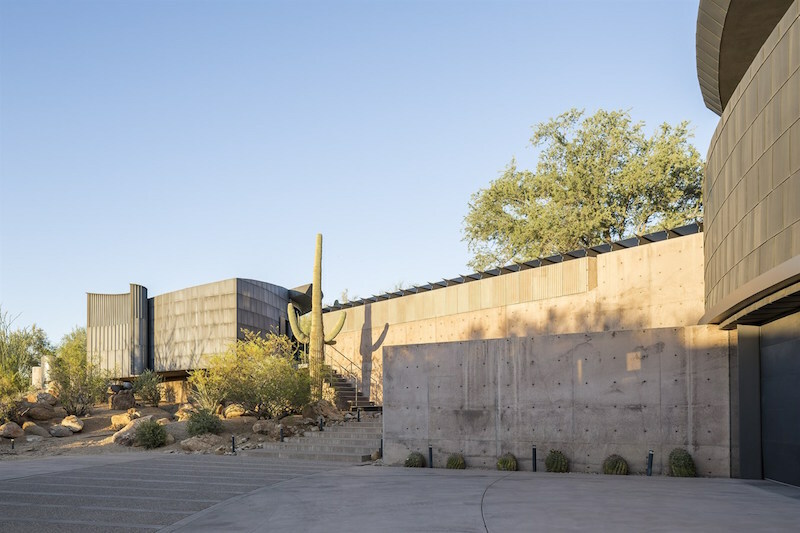 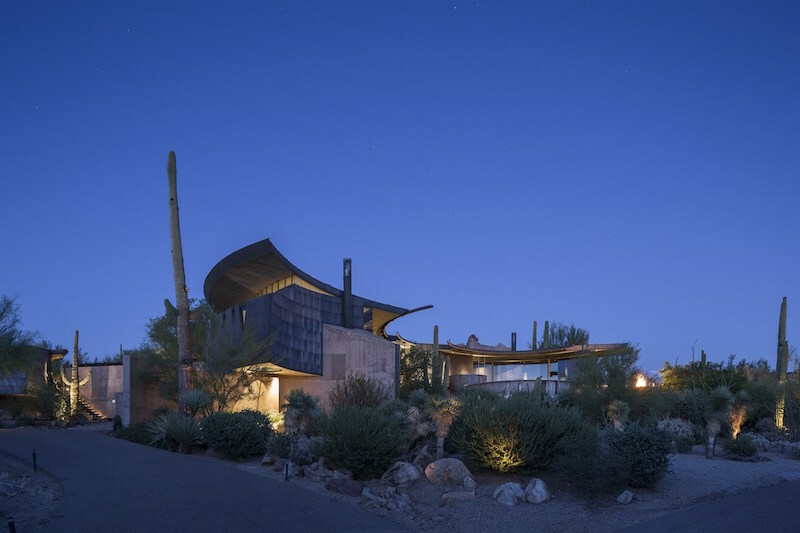 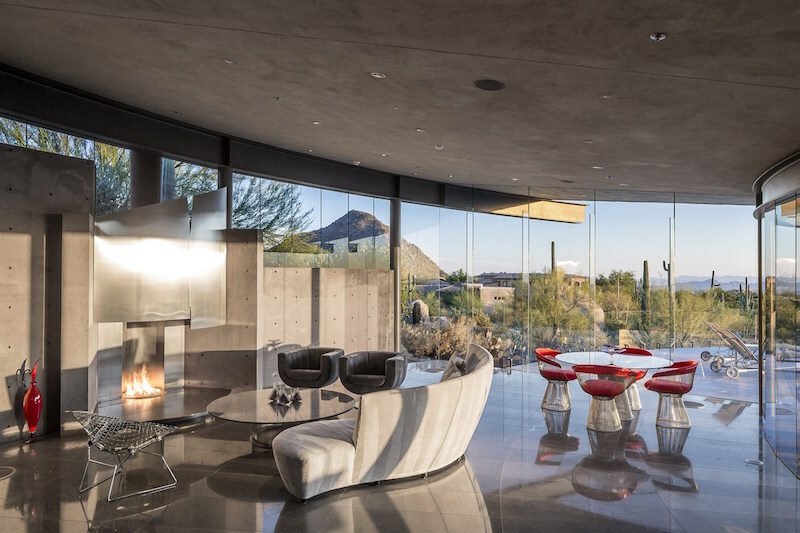 Architect Eddie Jones and Construction Zone masterfully blended poured concrete, glass and oxidized titanium panels into a curvilinear plan that spans the desert and boulder outcroppings in an organic form to protect the natural setting. 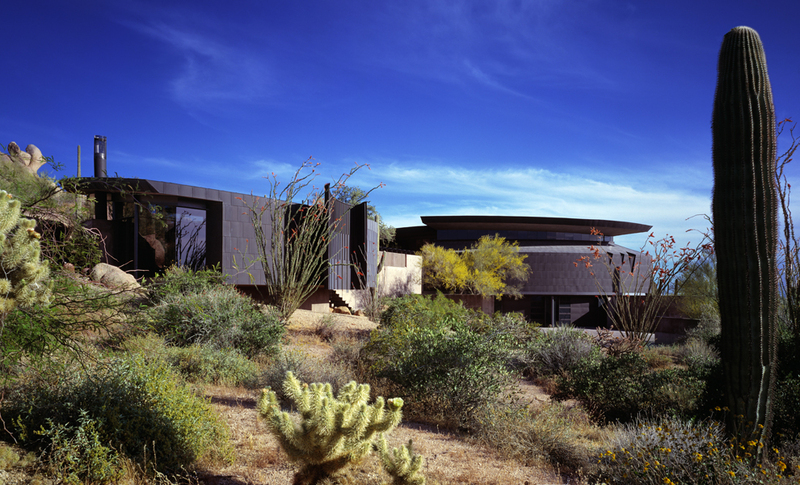 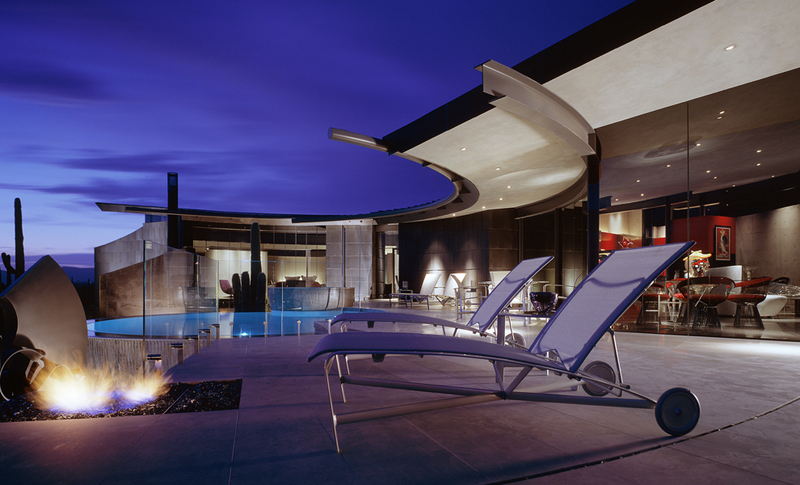 Today the residence is perhaps the most acclaimed home to ever hit the market in Scottsdale. 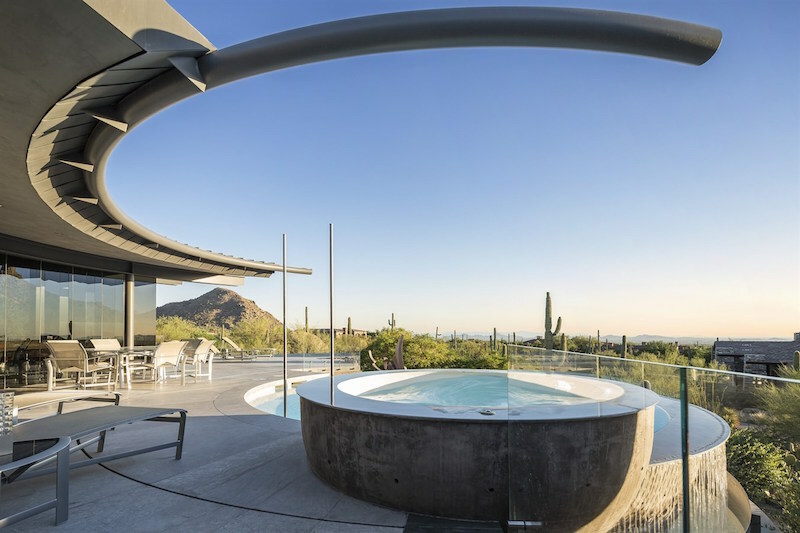 It is set on 1.14-acre lot in the gated Estancia community. 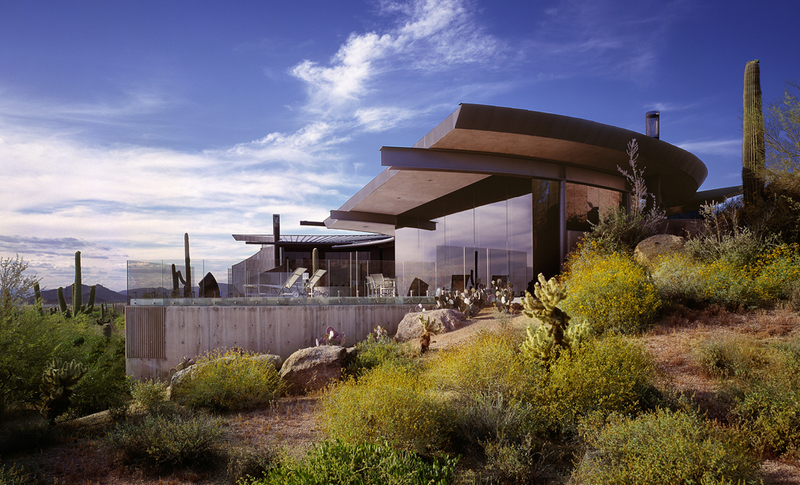 The 4,700 square foot plan includes four bedrooms and five bathrooms. 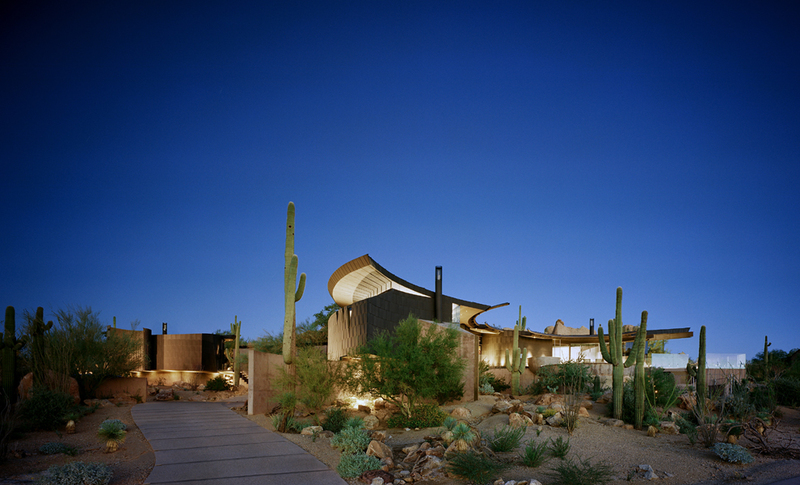 It’s listed with Russ Lyon Sotheby’s International Realty. 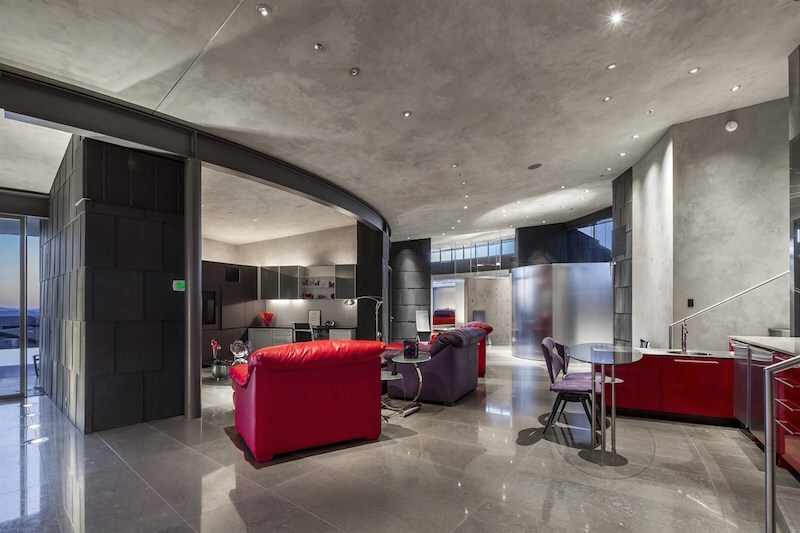 To view a really neat 3D tour click here.